This page shows the latest Cosentyx news and features for those working in and with pharma, biotech and healthcare. This goes one step further than two similar drugs already on the market – Novartis’ Cosentyx and Lilly’s Taltz which specifically inhibit IL-17A. One company which has launched its own UK-specific outcomes guarantee deal with local NHS organisations is Novartis, for its psoriasis treatment Cosentyx. Approximately 24 fully matching, plus 48 partially matching documents found. An Outcomes Guarantee model - Cosentyx promise. Among the many initiatives Novartis is working on with the NHS is ‘The Cosentyx Promise’. ... Cosentyx is the company's psoriasis treatment, and Novartis supplies the drug with an outcomes guarantee. Can value-based healthcare take off and reach for the skies? costs. It was then backed with a ‘no response-no payment’ contract. It has also struck novel reimbursement packages with its heart failure therapy Entresto and its psoriasis treatment Cosentyx. 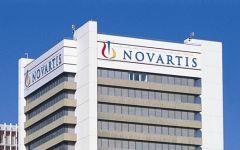 Similarly, Novartis has enjoyed 31.7% growth thanks to another psoriasis/psoriatic arthritis treatment - Cosentyx - while GSK’s lupus therapy, Benlysta, has helped it increase immunology revenues by almost 45%.”. Our clients include: The NHS NWEH Cancer Research Cosentyx / Novartis Brilinta / AstraZeneca Port of Call We have branches in Manchester and London - to find out more: www.makerprojects.co. Year. 90TEN’s work with Novartis on the global launch of Cosentyx is nominated for Excellence in Media Relations.